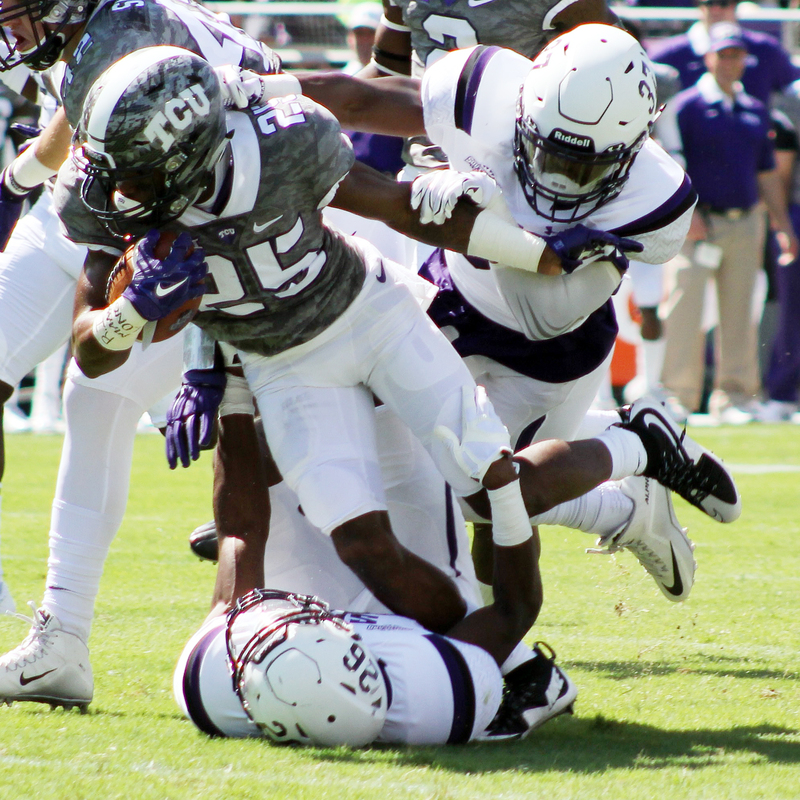 FORT WORTH, Texas — The Stephen F. Austin Lumberjacks were exactly what the TCU Horned Frogs needed after their tough, season-opening win over Minnesota. The No. 3 Horned Frogs piled on the points in a 70-7 win over the Lumberjacks, even though TCU head coach Gary Patterson admitted after the game that he purposely tried to slow the game down in the first half so he could run his full playbook for at least part of the second half. Slowing things down hardly mattered. The TCU (2-0) defense — which lost both starting linebackers in their win over Minnesota — held the Lumberjacks (0-2) to 167 total yards, and it was worse than that total indicated. SFA managed only 21 passing yards and 75 of their 167 total yards came on one play, a 75-yard rushing touchdown by Loren Easly in the fourth quarter.